When you feel superior you bore everybody with yourself—a lot of air with no purpose. All our problems—jealousy, insecurity, fears and mistrust, come from our inferiority complex. People have problems because they cannot connect up to Infinity. Society does not trust a yo-yo. Show your worth, and prove that you are trust worthy. Wherever you go, your reputation goes ahead of you. In life, to be worthy, you should be trustworthy to the entire universe. Professionally you are getting ready for the Aquarian Age. I hope you will not let down the global consciousness. You are needed by the world now. 1. Sit straight in a cross-legged position. The right hand is held up beside the right shoulder with the elbow relaxed down. Lock the first two fingers close together pointing upwards, and use the thumb to hold the other two. The left hand rests on your heart. Eyes are closed. Sing from the navel Ong Namo Guru Dev Namo by Nirinjan Kaur. Continue for 31 minutes. Inhale deeply, hold, exhale like cannon fire through the nostrils. Repeat 2 more times. 2. Same posture but switch hands. Chant from the navel Wahe Guru, Wahe Jio by Sangeet Kaur and Harjinder Singh (from Raga Sadhana). 3. Same posture. 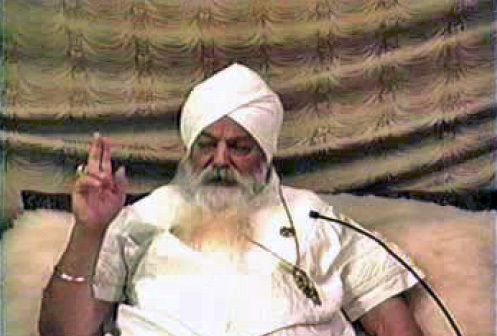 Chant from the navel Sat Narayan by Jasbir Kaur. After 2 minutes bring the hands in prayer mudra in front of your chest. Continue chanting as you press the hands together for another 2 minutes. 4. Chant 5 times from the navel Har Har Har Har Gobinde by Nirinjan Kaur. To end, inhale, exhale, relax.